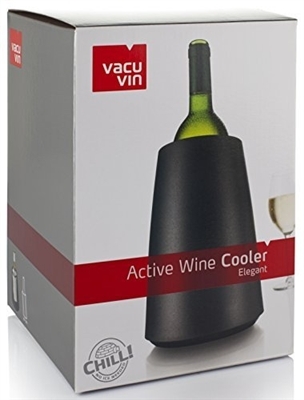 Stylish wine cooler allows you to chill your wine without ice and keeps it cool for hours. Freeze the removable, reusable cooling element, replace it in the elegant black wine cooler and chill your wine in only 5 minutes. 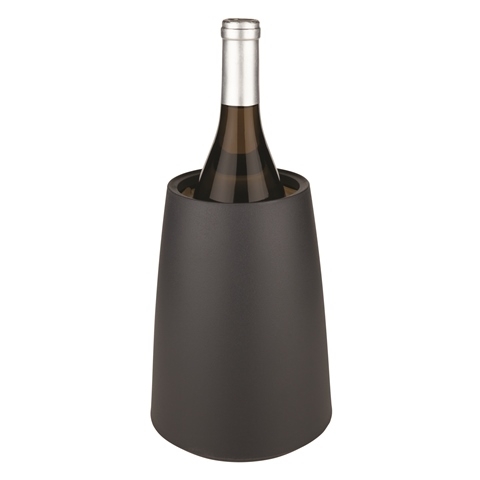 Holds a standard wine bottle.